An examination of female comedic characters in TV, film and literature. Are schools able to support pupils with mental health needs? 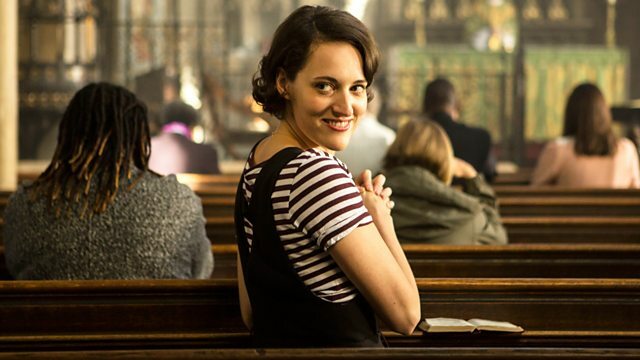 The television comedy dramas Fleabag and Derry Girls finished this week. What’s the appeal of the seriously flawed female character from Jane Austen’s Emma through to Bridget Jones? Upskirting is now a specific criminal offence across England and Wales. We hear from the activist and writer Gina Martin who started the campaign for a change in the law after being targeted at a music festival. Next week, one of the subjects on the agenda at the NEU (National Education Union) conference is the mental health of pupils. Increasingly, staff in schools are being asked to provide emotional support for the children they teach. But do they have the adequate resources or training to help these vulnerable individuals? We discuss with Sarah Kendrick from the children's mental health charity, Place2Be, Brenda McHugh from Anna Freud centre and Anne Lyons, the former president of the National Association of Head Teachers. Bev Thomas is a clinical psychologist. She's written her debut novel 'A Good Enough Mother' about a trauma therapist who is trying to treat a patient who bears a striking resemblance to her own missing child. She joins Jenni to discuss. As part of Late Night Woman's Hour we hear from the barrister Samantha Davies about what we can do about modern slavery in the supply chain.